There was a time when I spent every weekend walking with Cambridge Rambling Club, a time before Geoff started all this travelling and I fell in love with my bike, now I still like the walking but to get a decent walk usually involves a lot of driving which I don’t like. 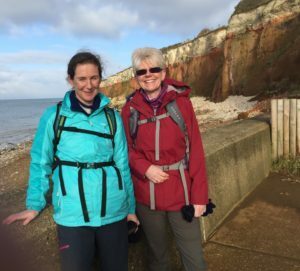 I keep in touch with Cambridge Rambling club and when I saw they had a weekend booked at the Activity Centre in Brancaster Staithe I jumped at the chance to go and invited my friend Gina along too. Luckily for me I was just starting to feel better so this weekend was just the tonic i needed, a gentle start back to exercise with lots of chatting and catching up with people i had not seen for over a year. The activity centre was clean comfortable and well equipped with an excellent kitchen,spacious lounges and a pub near by. We made our own breakfast and had our evening meals in the Jolly Sailors where the food was good and the service excellent, best of all it meant no cooking or washing up. We enjoyed an excellent 19 mile walk on the Saturday heading in land through Holkham hall grounds, where many Deer were seen,then back along the coast path, which was just wonderful, we often forget about the great places we have right on our doorstep. 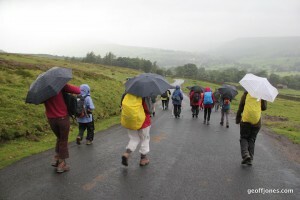 No need to worry about navigation on these walks or getting lost as Jill who organises them is an expert, so we could just relax, enjoy, chat and walk. Sunday after packing everything away we headed to Hunstanton along the coast path and the many boarded walks, a favourite of mine with lovely memories of the many walks when I first met Geoff. The coastal bus was caught to get back to our cars but Gina and I stayed a while longer as the weather was so nice and we fancied tea and cake to end a fab weekend. 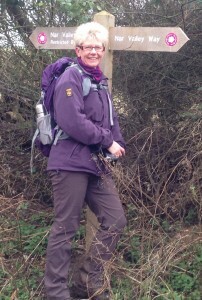 A total of 32 miles walked in lovely winter sunshine. 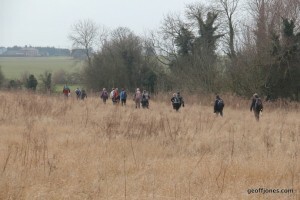 So a big thank you to Cambridge Rambling club for a fab weekend of walking and when Geoff finally decides to stay in England long enough I shall get him out on a Sunday Ramble……. This entry was posted in Cambridge rambling club, walking on February 9, 2017 by Sally. These days I don’t walk as much as I would like too, mainly because I have to drive so far to get a decent walk and with the cost of fuel it becomes expensive. 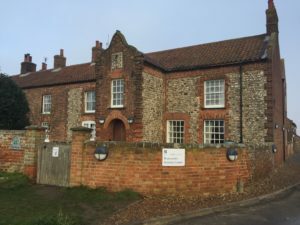 This weekend though I had no excuse as The Cambridge Rambling Club had booked to stay at The Old Red Lion Hostel in Castle Acre for a weekend of walking. So I Invited a walking friend to stay with me and swapped my Purple bike for my walking boots and my Purple ruc-sac. Saturday was a lovely bright sunny Norfolk day if a little windy and we walked 17 miles along some of the Peddars Way and Nar Valley Way, although we had to make a few diversions due to heavy flooded paths at times. Today was a bitterly cold and much windier day but we Â still managed 14 miles along the Nar Valley Way keeping away from the flooded fields and was grateful for no rain. My next walk is planned for 16th March with the LDWA who are walking from Sandringham and then The Daffodil Dawdle at the end of March….. This entry was posted in Cambridge rambling club, walking on February 9, 2014 by Sally. Where did Spring go !! We decided late in the day to join them so could not get into the Youth Hostel, which was a shame. Thankfully the badÂ accommodation did not stop us from enjoying the weekend. 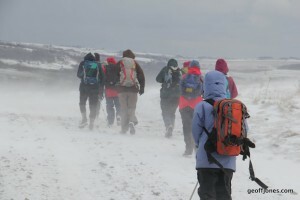 Even the snowy conditions on SundayÂ didn’tÂ stop us from walking…..
and somewhere along the way we seem to have agreed to do the Yorkshire 3 peaks this Saturday so lets hope the weather improves by then ! This entry was posted in Cambridge rambling club, walking on March 11, 2013 by Sally. 40 miles in a weekend ! Spring isÂ definitely on its way, the weekend has proved this by being milder and providing us with some much needed sunshine. After having a lingering migraine all week I have felt 100% human again over the weekend so we made the most of the milder weather and went walking both days. Saturday we did 25 miles, aÂ practise ready for my 27 mileÂ DaffodilÂ Dawdle walk in a few weeks time, we covered the distance easily no aching legs just hot feet and sore toes, new boots are needed but new socks will have to do for now ! My toes were still a little uncomfortable this morning but not bad enough to stop us from enjoying a nice walk 15 mile walk, from Ashwell with the Cambridge Rambling Club. This entry was posted in Cambridge rambling club, walking on March 3, 2013 by Sally. We have just had 4 fantastic walking days in Yorkshire, we stayed at theÂ Grinton Lodge YHA with the Cambridge rambling club. between the showers, making it great walking conditions. 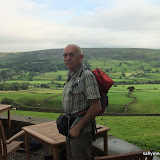 The Bridge Inn in Grinton village did excellent food and we enjoyed two great evening meals there. I gave in and took a bit of extra kit with me this trip, it was well used but I refused to have the standard black one !! This entry was posted in Cambridge rambling club, YHA on August 21, 2012 by Sally.